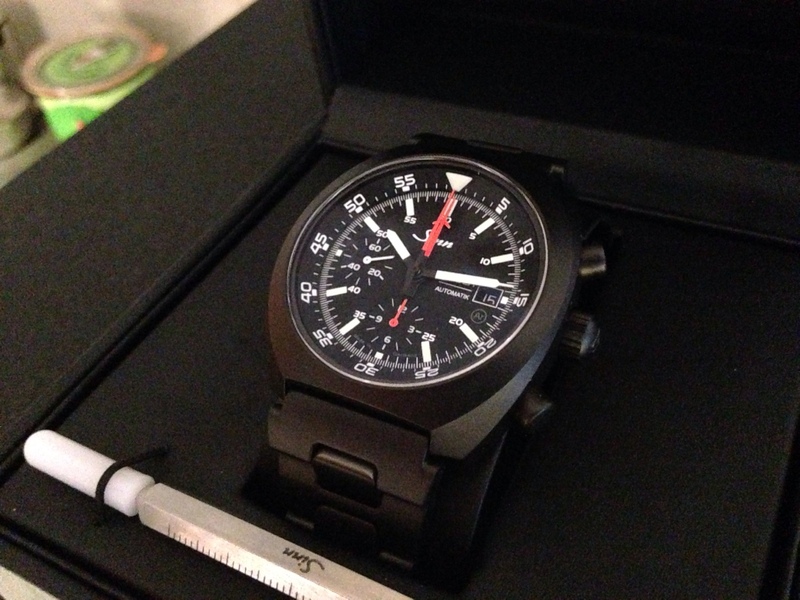 For sale is a Sinn SZ01 Auto 140 ST S Chrono PVD Watch in 99% condition. Already mounted is a metal band. No other bands will be included. Watch was only worn a few hours and kept back in it's safe box. Bracelet and clasp still very perfect and in a very stunning condition. The Sinn absolutely has no traces of any usage. Delivery will include: Box, all links, warranty card and all accessories.